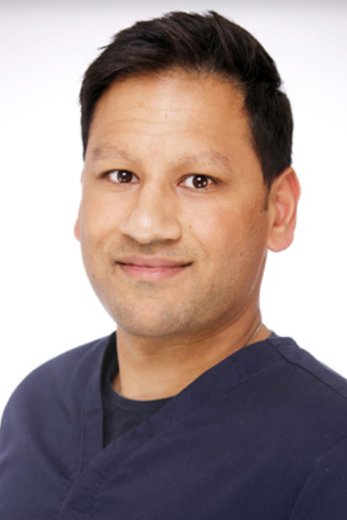 Mitul is a Specialist Registrar in Periodontology and is currently training at Guy’s Hospital. Mitul qualified from King’s College London dental institute in 2012. Following the completion of his foundation training in Oxford, Mitul began an extensive hospital post at the Royal London Hospital. During this Mitul gained key skills in Oral and Maxillofacial surgery as well as complex Restorative procedures. After further experience in general practice, he then went on to successfully complete his MJDF diploma from the Royal College of Surgeons England in 2014. In 2015, through a rigorous national recruitment process, Mitul was successfully awarded a training post at Guy’s Hospital. Currently Mitul spends his time between the hospital and private practice in Hertfordshire and Buckinghamshire. He is experienced in the use of dental lasers to manage Periodontal disease. His particular interests lie in the management of implant gum disease and in bone grafting procedures prior to implant placement. Mitul plays a key role in the British Society of Periodontology and frequently attends conferences and meetings both nationally and internationally. Currently he is the Secretary of the Early Career Group of the British Society of Periodontology.